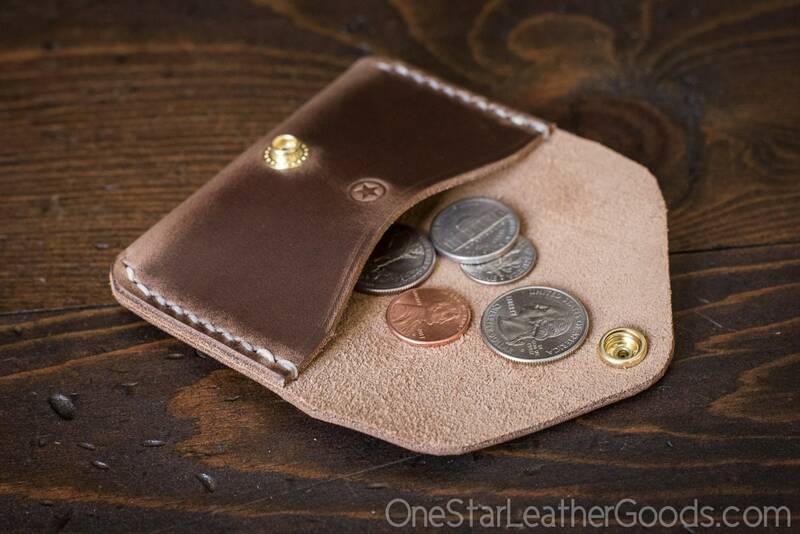 Coin pouch / wallet / business card case with snap in superior quality leather. 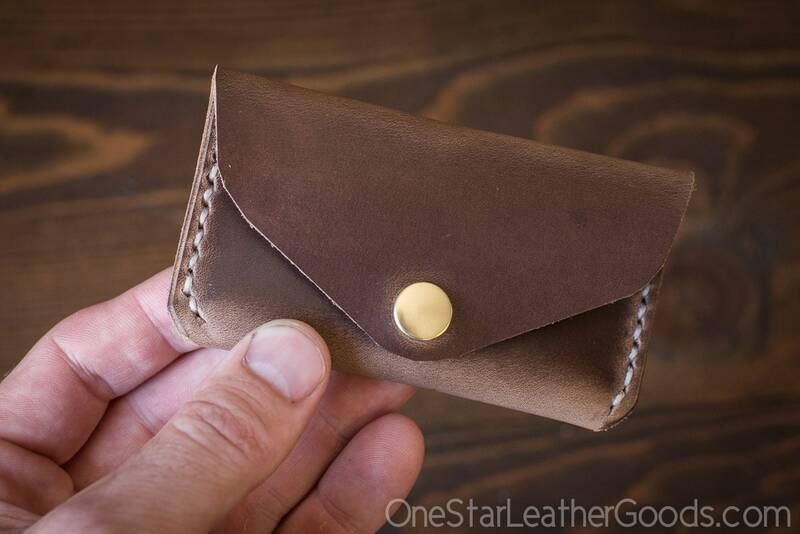 A small, compact pouch for coins or business cards, or even to use as a wallet. A wide mouth means its easy to find the change you're looking for. A subtle curve on top means its easy to extract business cards. 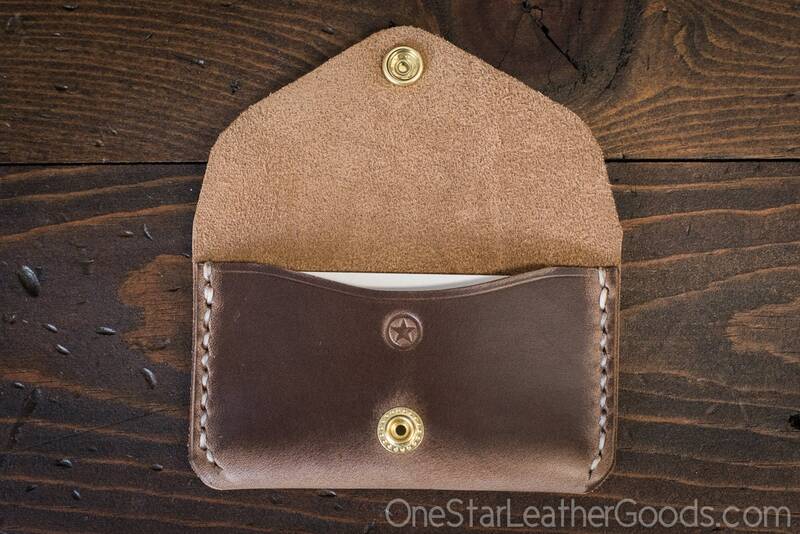 Solid brass snap closure. 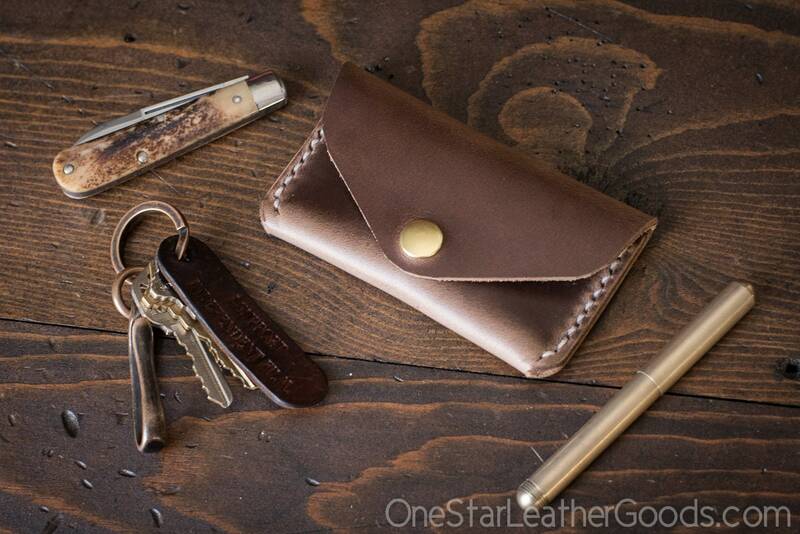 When closed your stuff is secure, even small coins will not fall out. 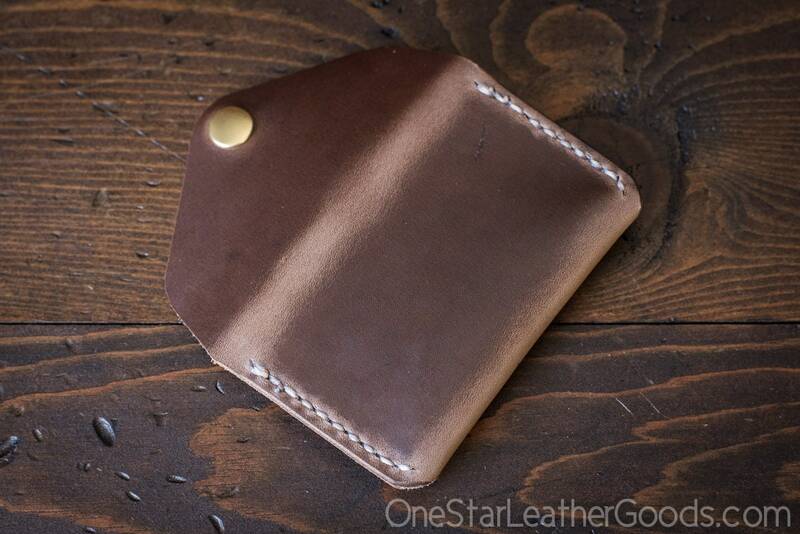 Will easily hold over a dozen credit cards, and more as it breaks in and you keep stuffing it full of goodies. 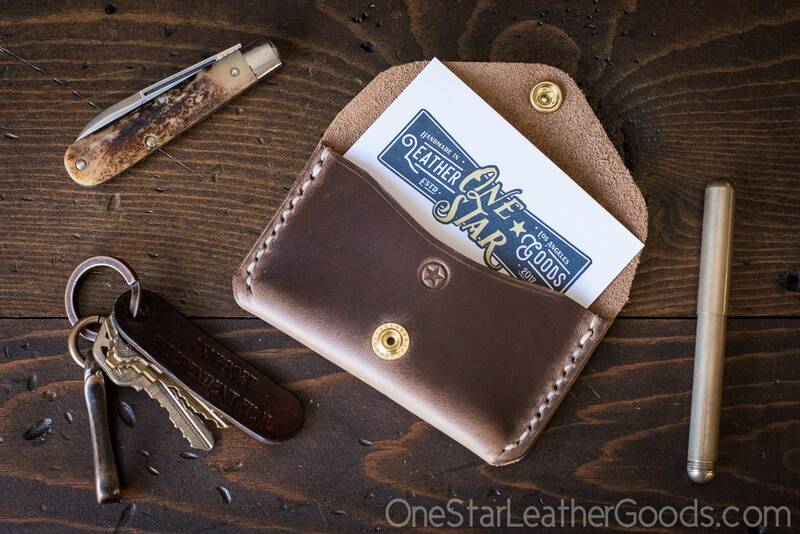 Superior quality Horween Chromexcel leather--a legendary tannage originally formulated sometime around 1913. It is supply, waxy and requires very little maintenance (and smells heavenly).